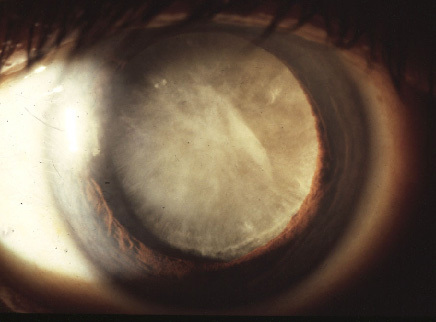 A cataract is a decrease in the clarity of the lens of the eye, which causes blurred vision. It is most commonly associated with the ageing process, though it occurs earlier in some people such as diabetics and those with previous ocular trauma. 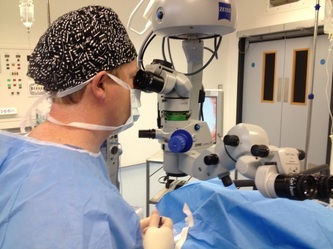 Your ophthalmic surgeon, Mr Higgins can surgically remove the cataract and replace it with an artificial lens implant, which remains in the eye permanently. This involves a short operation, which can be performed under local or general anaesthetic. A small (<3mm) incision is created in the eye, through which the cataract is removed after being dissolved using a special ultrasonic probe. 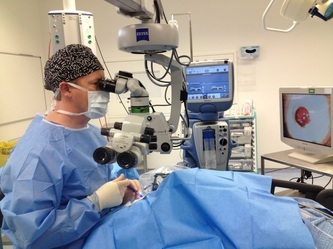 The replacement lens is inserted through the same incision which usually will close without the need for sutures.